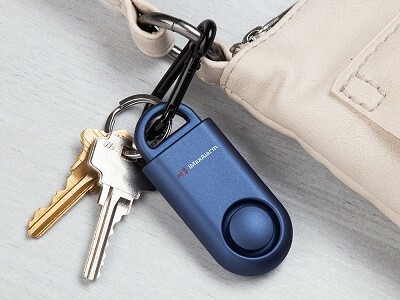 Feel and stay safer with a keyring alarm that looks unassuming but packs a powerful 130-decibel alert. Pull the top to activate an attention-drawing sound that is as loud as a jet taking off or a jackhammer in action. Trust us, it is ear-splitting. The alarm is reusable—just pop the pin back to stop the sound. 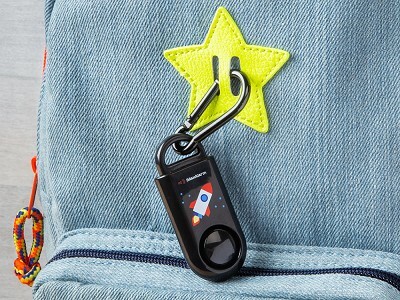 Maker Michael Su modeled the low-key design on a traditional key fob so it can be attached to a keychain, bag, or worn on a lanyard. There are styles suited for kids and it’s TSA-friendly, too. The alarm can do the job of warding off unwanted attention and works as a call for help as well. It is handy in so many situations for so many types of people—nighttime runners and commuters, campers, students, elderly folks—that we couldn’t think of anyone who wouldn’t benefit from this small, but powerful alarm. How loud exactly is 130 dB? 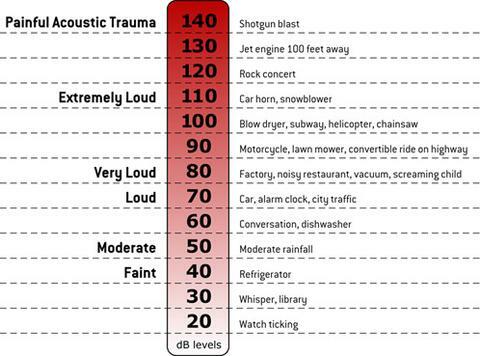 A 130 dB siren is equivalent to a 200 person marching band, a jackhammer, or the sound of a military jet take-off from an aircraft carrier with afterburner at 50 ft. See a decibel chart to understand where 130 dB falls. How do I activate and then turn off the alarm? Is this ready to use out of the box? To activate, pull the pin completely out of the device. To silence the alarm, simply place the pin back into the device. Yes, the battery is preinstalled and ready to use right away. No, the alarm is made to be tamperproof for maximum protection. Under normal conditions and circumstances, batteries will last at least 2-3 years if unused. It is recommended that users test device every 6 months to ensure device is still working properly. What are some of the use cases for this product? This product can be used during an assault, rescue, medical emergencies, intruders, animal repellent when camping/hiking, child safety, or on a neighborhood watch. 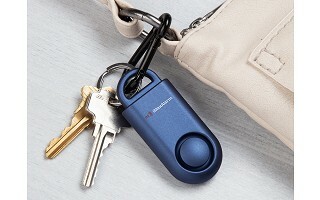 Feel and stay safer with a keyring alarm that looks unassuming but packs a powerful 130-decibel alert. Pull the top to activate an attention-drawing sound that is as loud as a jet taking off or a jackhammer in action. Trust us, it is ear-splitting. The alarm is reusable—just pop the pin back to stop the sound. 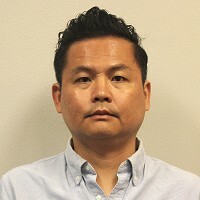 Maker Michael Su modeled the low-key design on a traditional key fob so it can be attached to a keychain, bag, or worn on a lanyard. There are styles suited for kids and it’s TSA-friendly, too.